THE HUMANS creators Keenan Marshall Keller and Tom Neely are hitting the blacktop for a West Coast signing tour not to be missed. 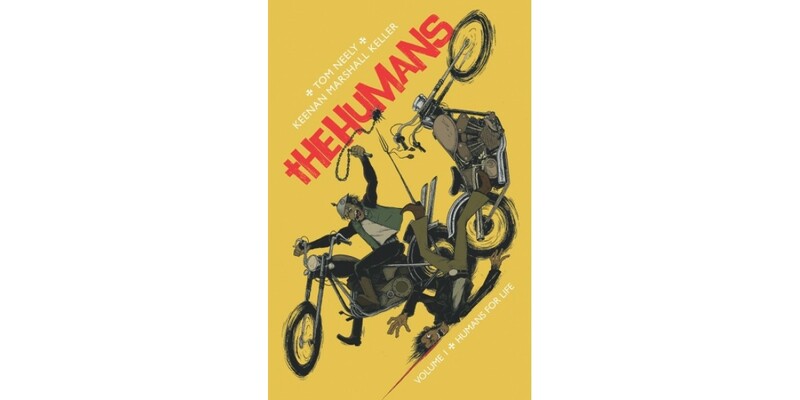 Making appearances at several comic shops along the way, they’ll be bringing all THE HUMANS comics, posters, patches, t-shirts, and exclusive tour-only HUMANS merchandise! It all ends in The Humans’ home-town of Bakersfield for a rock-n-roll party at Babylon with HUMANS Soundtrack bands Zig-Zags and more.